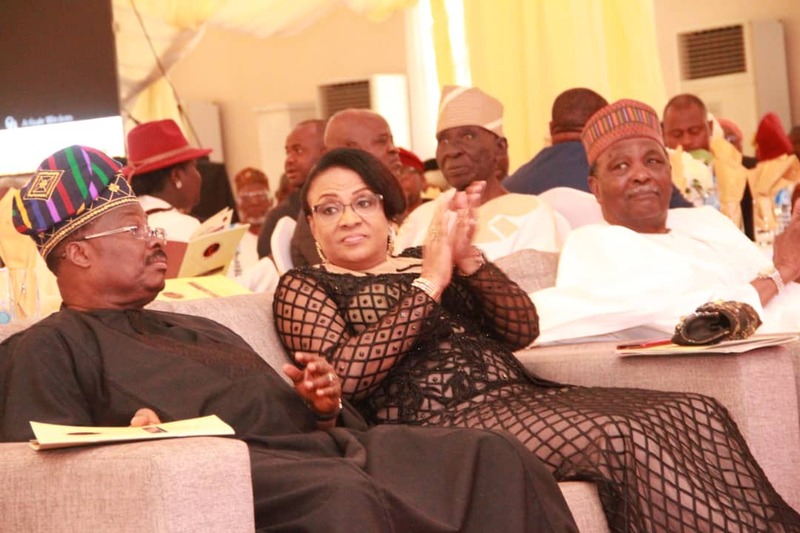 Eminent personalities, notable politicians and scholars on Saturday agreed on the need for Nigeria to move away from building strong individuals to building strong institutions as a means of achieving sustaintable national development. 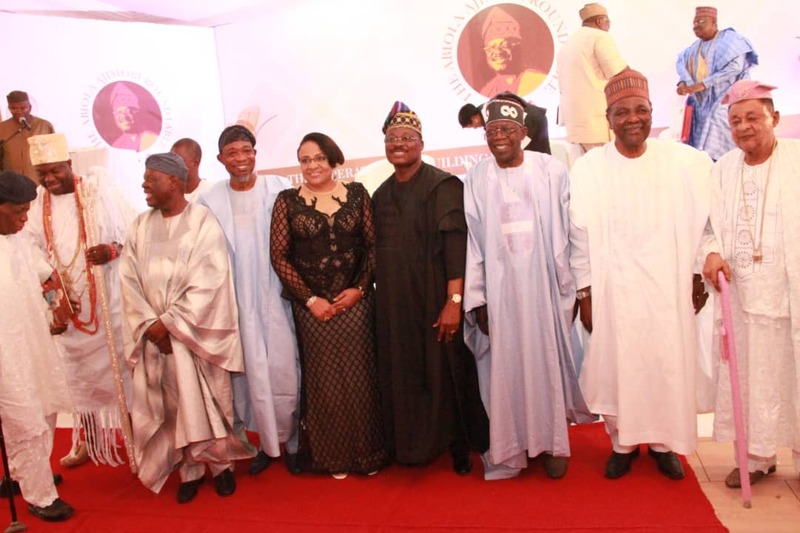 The personalities who spoke at the maiden Abiola Ajimobi Roundtable organized as part of the activities marking the 69th birthday of the Oyo State Governor, Senator Abiola Ajimobi in Ibadan, included a former Head of State, Gen. Yakubu Gowon (rtd. 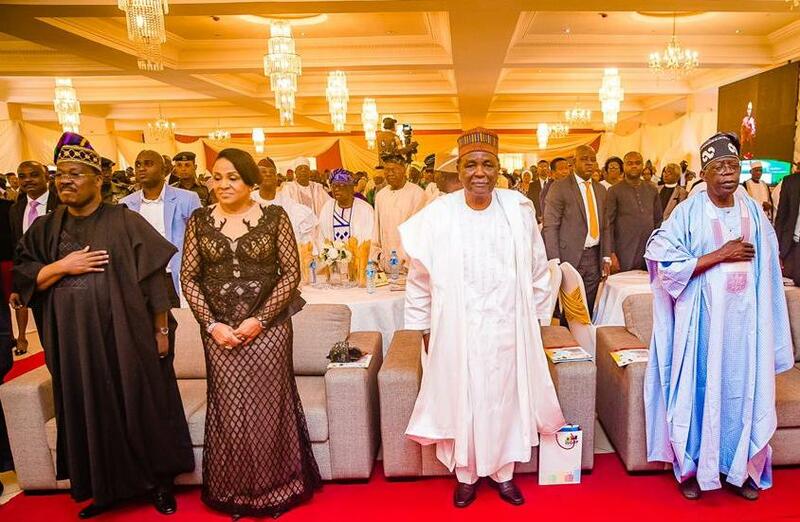 ), National Leader of the All Progressives Congress (APC), Senator Bola Ahmed Tinubu, the United States Ambassador to Nigeria, Mr. Stuart Symington and wife of the governor, Dr (Mrs) Florence Ajimobi. 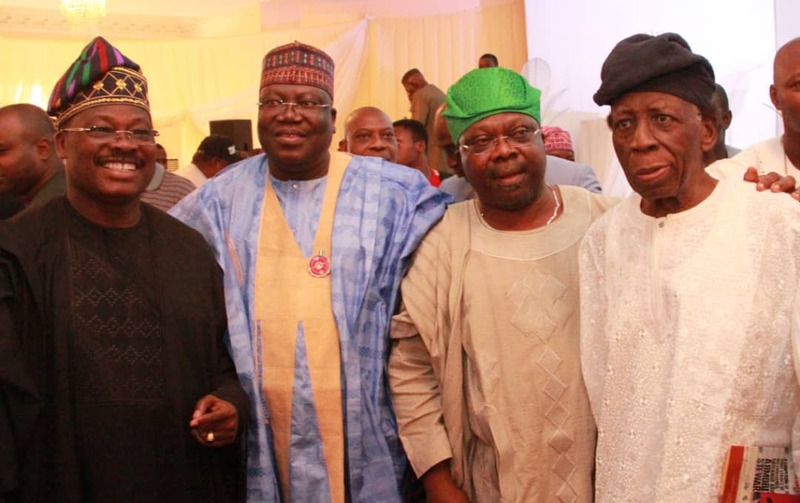 Others were former Interim National Chairman of APC, Chief Bisi Akande, former Governor of Osun State, Mr. Rauf Aregbesola, Senate Majority Leader, Senator Ahmed Lawan, the Alaafin of Oyo, Oba Lamidi Olayiwola Adeyemi III, the Ooni of Ife, Oba Enitan Adeyeye Ogunwusi and an industrialist, Chief Kola Daisi. Speaking on the theme: “The Imperatives of Building Institutions for Lasting Legacies”, they all affirmed that while strong individuals were necessary for visionary leadership, it was only strong institutions that could enhance proactive leadership, good governance, effectiveness of the rule of law and inclusiveness of the citizenry. 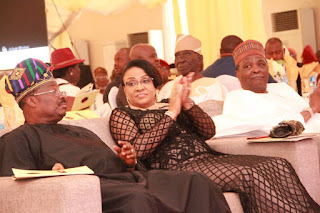 Touching on the theme of the discourse, Gowon identified the civil service as one of the key institutions that any government must strengthen, noting that “protecting the integrity, confidentiality and impartiality of civil servants would enable them give political leaders the right advices. For Tinubu, while institutions are important, a leader cannot be deemed to have succeeded, no matter how much he has achieved infrastructural renewal and other areas of development until he developed people who could succeed him and nurture the institution that he had built. Tinubu declared Ajimobi as a leader who demonstrated the rare combination of thinking and doing, adding that he had exhibited the quality of a good leader who had the courage of not only taking actions but being ready to face the consequences of his actions. While agreeing on the need to build strong institutions, Akande however warned against what he called the growing institution of bullies who, he said, derived satisfaction in benefitting from the public purse without providing the commensurate value. He noted “regardless of your profession, if you take money for the job you have not done, you are a third. In other countries, when people go on strike, they do not take salary for the period. All you leaders who allow people to steal from public purse should henceforth watch it. In his own submission, Aregbesola recalled that one of the reasons why a former US President, Barack Obama shunned Nigeria and chose to visit Ghana during his visit to Africa was due to the lack of will by our leaders at the time to support the growth of institutions. “During that visit, Obama observed that African leaders should look at building institutions and not individuals. And for me also, even though we need strong, thoughtful, resilient, idealistic and iconic people to look up to as pace setters, but Africa can only be great if we shift our focus to building institutions which will outlive these individuals,” he said. The US ambassador, Mr Stuart Symington who addressed the gathering via an amplified telephone call from Abuja, said it was time for the people of Oyo State, Nigeria, development partners and business associates to shift attention from sustainable development to profitable development because without profit, development cannot be sustained. He further noted that oil and land were not the important asset of the country but the people of Nigeria themselves, adding that “how the people of Nigeria, working together to transform and strengthen institutions from inside out is the only way for creating trust that will ensure development, trust for people to take their hard earned capital and their very lives and invest in the country because they will be welcomed and well treated." According to the envoy, institutions don’t have memories and reputations, it is the leaders that drive them. In his own submission, the Senate Leader said strong institutions were created and nurtured by strong men; leaders of vision and integrity who were focused, noting that after Tinubu had created strong institutions in Lagos State, he made sure that strong and competent leaders succeeded him to make the institutions sustainable. “We also have such a leader in Governor Ajimobi. He came with a vision; he had courage and competence; he believes in probity and that is why Oyo State has had a smooth primary; the governor is more interested in people who can sustain his institutional reforms and other legacies and not in his own personal preferences,” he said. Speaking about the governor, Oba Adeyemi noted “Ajimobi is the 20th governor that I have worked with. I have worked intimately as a son and as governor. If you are brilliant, truthful and hardworking, he will work with you. He runs an inclusive government but you can only get something from him if you key into his vision of RTR, meaning reformation, transformation and repositioning”. During the panel discussion that was moderated by Prof. I. A. Adeyemi, the discussants including Prof. Tunji Olaopa, a retired federal permanent secretary and a Senior Advocate of Nigeria, Prof. (Mrs.) Oluyemisi Bamgbose, also harped on the need for building institutions that would ensure sustainable development. While expressing gratitude to the guests, Governor Ajimobi noted that “all developments are sustained by visions, intellectualism, principle and the courage we need to implement what we have envisoned; we started this roundtable because we believe no social or physical development can be achieved without intellectual and human capital development. L-R: Oyo State Governor, Senator Abiola Ajimobi; Senate Leader, Alhaji Ahmed Lawan; a former Deputy Governor of Osun State, Senator Iyiola Omisore; and a former Governor of Oyo State, Dr. Omololu Olunloyo, at the maiden Abiola Ajimobi Roundtable, held in Ibadan... on Saturday. Photo: Governor's Office.